Launched Kenya in 2015 and with foreign parents you would expect Betway to struggle in the Kenyan markets. Well, it doesn’t. Just like a new baby wins over the hearts of those she meets so does Betway. Its trick being few bets-maximum-possible-winning conversion technique, and an experience in other tempestuous African waters. The 2015 Ksh8.3 million 3 winner win made it break Kenyan records having only been in the market for less than year. Betway also mastered the art of wide array of markets making them flexible to the bettor’s suitable custom. Betway are the proud official sponsors of West ham United a fact that really narrates its success story. Bluejay limited, the proprietor and operator of the Betway website is licensed by Betting Control & Licensing Board (BCLB) under the Betting, Lotteries & Gaming Acts, Cap 131, Laws of Kenya under license number: 829. To register with Betway, visit their website and the top right sign up button. Follow the steps by filling in the information required. SMS registering is also another way of signing up. A welcome offer of free bets up to Ksh83. Menu bar is retractable leaving a space to display their extravagant jackpots and bonanzas. Download fixtures or get a look at the live scores also from this unique replacement of a menu. A well animated display of the many ongoing jackpots, promotions, bonanzas and even winners therefore you might as well be blind to miss it. On the top right you get a look at the two most important vitals; your account balance and the amount of free bets available in your account. The sports type menu graphics is quite a sight for you soul. Kind of reminds me of that homely feel I am playing an Electronics Arts game. 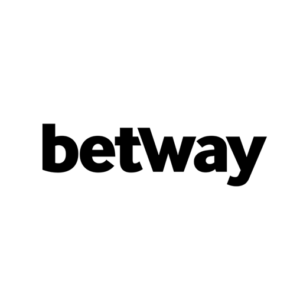 Betway insider blog for sports blogging, news and insights. 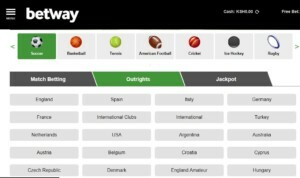 The betting panel is opted uniquely with the special bets Outrights and Jackpots, a trick used by Betway to uplift their ultimate goal of minimal bets for a humongous possible payout. An automatic betting calculator integrates with the betting slip as soon as you begin placing bets. They have an awesome Stats center but limited to football and basketball. Deposit Ksh5000 and above and Ksh83 free bets is yours for the taking. Refer a friend and once they wager a Ksh50 and above you earn Ksh50 worth of free bets. How to invite a friend in Betway. 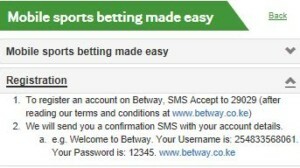 Betway found a way to encourage people signing up with their site by giving their already customers bonuses according to the number of friends they have invited and encouraged to join and place a bet. 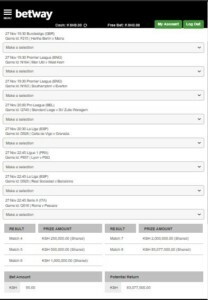 There is always 10 to over 20 million Kenyan shillings jackpot where you are given a specific number of bets to qualify for a ticket and each bet is worth a strict amount, mostly Ksh95. Also you get shared amount of winnings progressive respective to the number of bets correct. Bonanzas with a payout of up to over Ksh80 Million with the same catch as the jackpots. Specific no. of bets for a ticket and a strict amount for a bet. Also preferably Ksh95. Similarly, you get shared amounts of payouts progressive with respect to the number of bets correct. 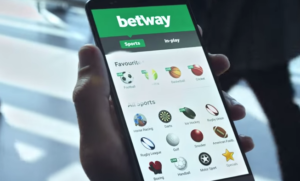 Betway offers markets in 11 sports. Better than most which is good news for those outside the wall of soccer lovers. Each sport has an incredible variety of worldwide games and matches. Wide array of markets with one of the best adds in all Kenyan betting sites. Betway sure has achieved a big conversion with each way possible. Like highlighted above, they have gone to the extent of prioritizing Outrights which as you go through the odds and markets, will realize how the margin of possible payout is unbelievable. Impressively, Betway has an IOS and Android phone app. Maybe it has to do with its international genes, maybe not. The app layout is as sleek and aesthetic as the PC layout. Almost every other important function can be done and accessed in the app, Live streaming included. Convenient, easy on the bundles and of course, practical, app betting is the next sure step for all betting sites, and Betway is and shall be a step ahead in this field. Besides a smaller screen and the settings notification that the site is in mobile version nothing is at all different between the two. It doesn’t load that much and the fine architecture is as a familiar sleek. Unlike most sites that don’t automatically configure to the screen size, Betway’s mobile version website is almost like the app. All operations, and by all I mean in terms of basics, are available at a charge of 1Ksh. They include registering, fixture list, top games, betting, checking balance and withdrawing. Multibets are possible and the process isn’t at all complicated. Sportradar Integrity Services is behind Betway’s live betting site. Streaming is pretty good though. So is the display. But like Sportpesa, newbies will need a lecture on how to actually place a bet. Live betting odds and dynamics, like the rest of the pre-match, are exceptional. Events change as fast as they happen and payout conversion is classic Betway. 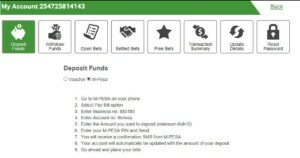 Mpesa is the only supported mode of mobile network transfer in Betway, but again, almost everyone has one. And those without it will cost you less to acquire one than the money you are willing to wager. You can also deposit money into your online account using a voucher. How fast does the withdrawal time? Withdrawal time is instant and the maximum amount per day is Ksh50000. Is your deposit not reflecting? Please click on the cash button on the left side of your screen to refresh the balance. If your deposit doesn’t reflect after a few minutes contact customer center. Have your mobile money reference number in handy. SMS word ‘Reset” to 29029 and they will reply to you for your new password. You will therefore log in with the new password. 29029 and get Betway’s top games sent instantly. Don’t want to wait for the top games to be played? SMS the word “Next” to 29029 to get Game IDs for the next games that are going to be played. What games can you bet on via SMS? Currently, customers can use SMS betting to place Single Bets, Multi Bets, and Jackpot Bets. Each game in the fixture lists will have a unique code attached to it that will need to be used when inputting bets over SMS. To bet on more complex markets like First Team to Score, Correct Score, Both Teams to Score, Double Chance and others, customers will have to use the unique codes associated with these betting types along with the match IDs of their chosen games. Remember that all SMSs, regardless of whether you’re registering, betting or withdrawing, will need to be sent to our unique number, 29029. There are also a range of other functions that SMS betting provides. Customers can check their balance, reset their passwords, check top games, check upcoming games and even receive a download link for a full list of fixtures. The unique song we have sang all along; big payout for less bets, and one that we have proved earns this site a pass into the ball of the renowned. Unique, daring, unorthodox but navigable web layout to capture the bettors attention, like bringing the Outrights next to normal bets and the replacement for the menu also shows how unlike other sites which may decide to hide this markets, Betway is willing to bring the honey to you. The amazing odds does it no harm, so does the jackpots and the bonanzas, and the variety of sports. 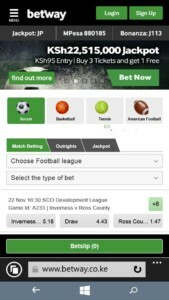 The convenient SMS betting and the two android and IOS apps make it even more flexible to anyone and any situation. Betway sure does qualify for the second place, a developing threat to the first.